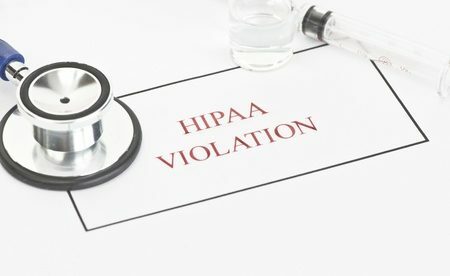 Everyday, there seems to be a new report about a healthcare provider or health plan that has been discovered to have violated HIPAA Rules, but what is a HIPAA violation? The Health Insurance Portability and Accountability Act of 1996 was created to streamline the administration of healthcare, reduce wastage, protect against healthcare fraud, and make sure that employees retain their healthcare coverage whenever they are between jobs. There have been several major updates to HIPAA over the years to enhance patient and health plan members’ privacy protections and make certain that healthcare information is secured. The updates are known as the HIPAA Privacy Rule, HIPAA Omnibus Rule, HIPAA Security Rule and the HIPAA Breach Notification Rule. How are HIPAA Violations Discovered? HIPAA violations may be discovered during internal HIPAA compliance audits, supervisors could identify personnel who have broken HIPAA Rules, and employees may self-report HIPAA violations and potential violations by their co-workers. The primary enforcer of HIPAA Rules – the HHS’ Office for Civil Rights – often discovers HIPAA violations while investigating data breaches. OCR investigates covered entities that have experienced a breach that has affected 500 or more people and some smaller breaches. OCR also investigates privacy complaints from the public and employees of HIPAA-covered entities and conducts periodic HIPAA compliance audits. State attorneys general are also authorized to investigate breaches and potential HIPAA violations. What Penalties are Issued for HIPAA Rules Violations? The fines for violations of HIPAA Rules can be substantial. State attorneys general can issue a maximum penalty of $25,000 per violation category, per calendar year. OCR can issue a maximum penalty of $1.5 million per violation category, per year. Besides healthcare companies, health plans and business associates of covered entities, individuals violating HIPAA Rules can also be fined and criminal penalties may be deemed appropriate. Imprisonment of up to 10 years is a possibility serious violations of HIPAA Rules (Theft of PHI for example).